The stable version of the Microsoft Edge browser for Android lets you easily synchronize the websites you visit with their equivalents for Windows. 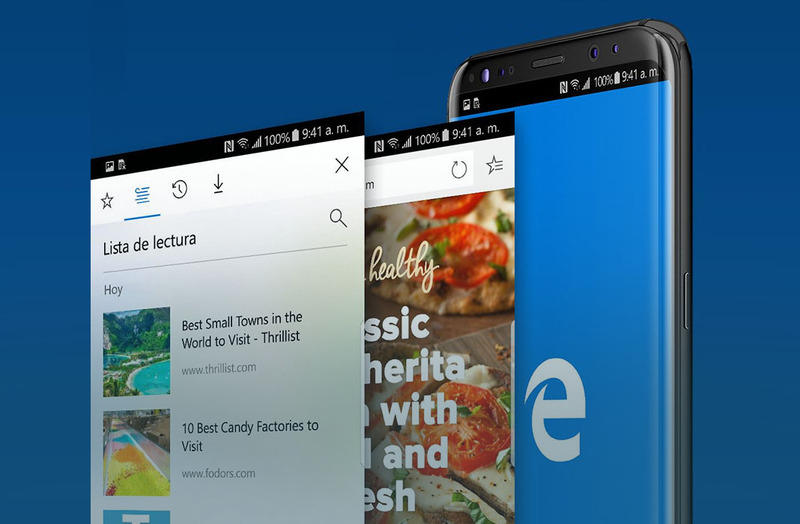 Although the Android version of the Edge browser has already been available for a few months now, it’s only recently been released in its first stable version. One of the great things about the browser is that it lets you link it with your Microsoft account, allowing you to keep your same session open on both the Android and Windows versions simultaneously. Plus, you can send content to be read later on another device. Read on to find out how it works. 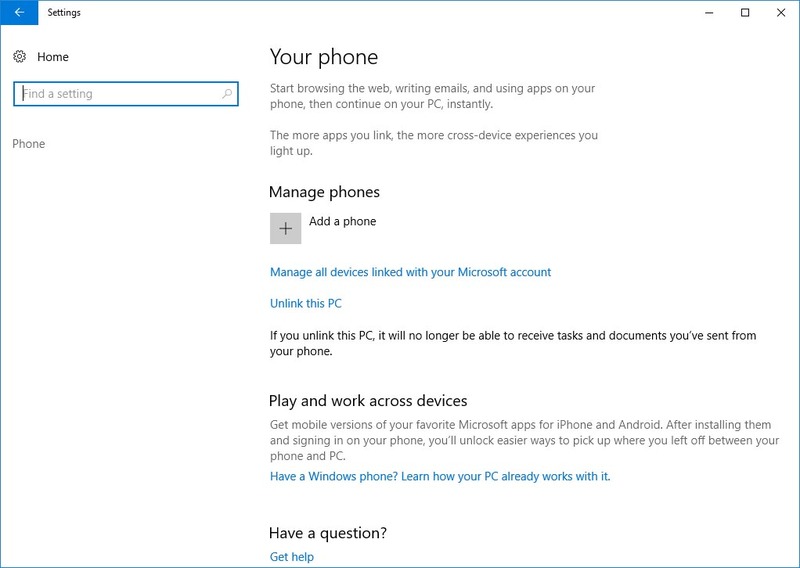 The first thing you have to do is link your smartphone to your Microsoft account. To do this, just open Windows and go to Settings > Your phone > Add a phone. The safest plan is to turn on the two-step confirmation with the app Microsoft Authenticator installed on your device, but it’s not required. After asking for your phone number and sending a confirmation message, you’re device will be added. After adding your device, you can use the the send button found on the bar at the bottom of the screen to send content from Edge. 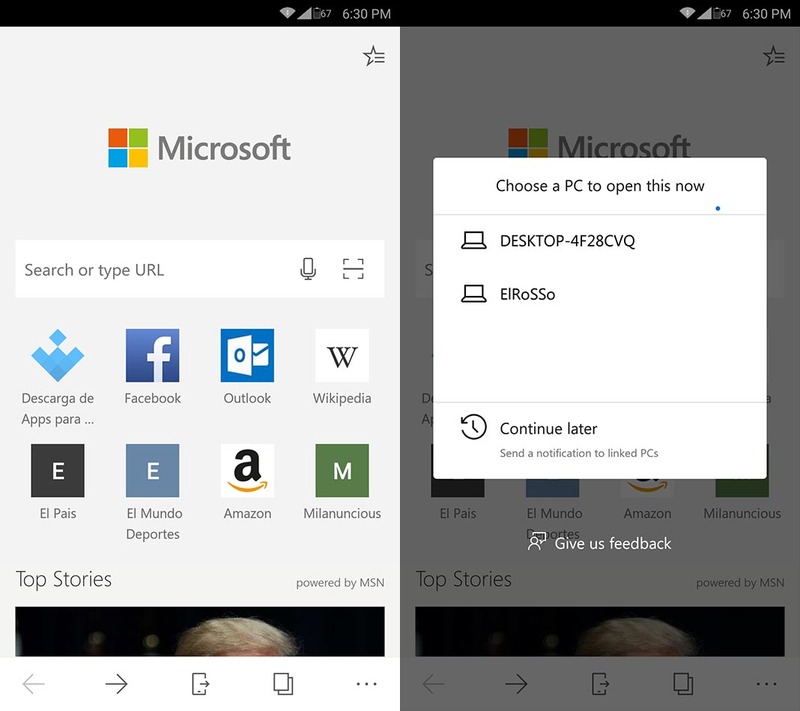 When you tap that, you can directly send the pages you have open to your Windows browser to have them open automatically, as well as add them to your reading queue to see a notification in Windows to remind you to open them later. Microsoft has had a hard time clearing the heavy cloud from Internet Explorer, which it earned by ignoring its former browser when it came to keeping it up to date. According to our own information, only 4.03% of users that access Uptodown through Windows are using Edge. That said, what’s even more dramatic is the fact that Explorer is still used by more users, at 4.40%. Obviously, countries that are just emerging technologically are to thank for this, but it’s proof that there’s still a long way to go. Obviously, if we’re Windows users, it makes sense to connect our devices using one account, especially when the company has focused its efforts on offering good apps based on its most well-known services. Just the combination of Edge + Microsoft Launcher makes it worth using.